Sign up! After you RSVP, DFA will send you an email with instructions to participate. You can either listen to streaming audio of the call on our web site or with your phone at 8pm ET on Tuesday. 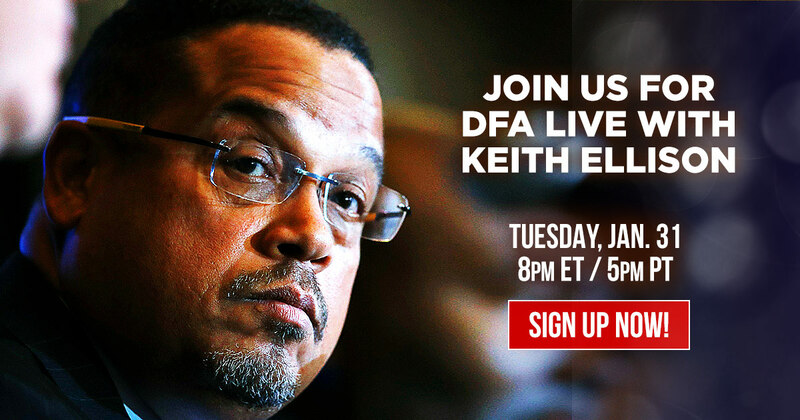 RSVP now to join Rep. Keith Ellison on Tuesday, January 31 at 8pm ET/5pm PT for a "DFA Live" conference call, moderated by DFA Executive Director Charles Chamberlain. Together, we'll discuss Rep. Ellison's campaign to be the next DNC Chair and take your questions.